New England Patriots wide receiver Julian Edelman has been placed on injured reserve for the 2017 season after an ACL tear in his right knee, according to multiple reports. 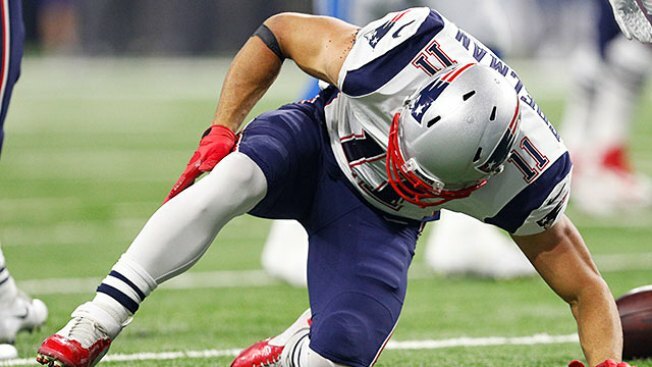 Edelman was injured during Friday night's preseason game against the Detroit Lions as he was tackled by safety Tavon Wilson, a former teammate, after having three receptions for 52 yards in a four-play stretch. According to Albert Breer of TheMMQB.com reports, Edelman suffered a complete tear of his ACL after having an MRI on Saturday. The Patriots' No. 1 receiver will sit out the 2017 season. Last year, Edelman was the Patriots’ top receiver, with 98 catches for 1,106 yards.